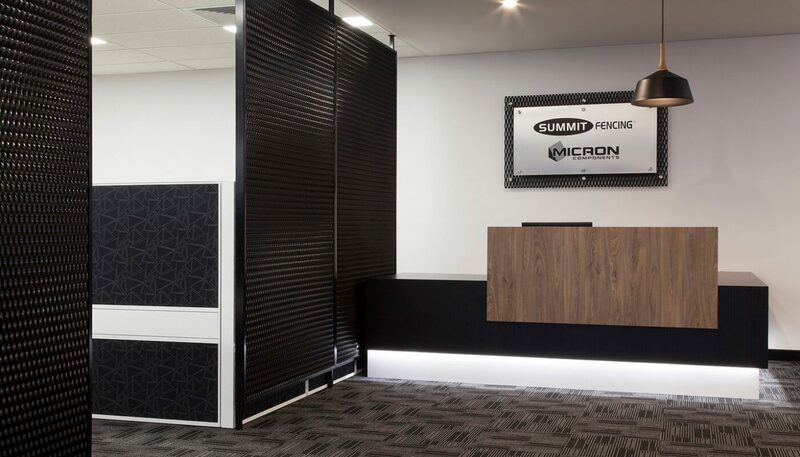 Summit Fencing are providers of fencing solutions to a range of clients with various applications. 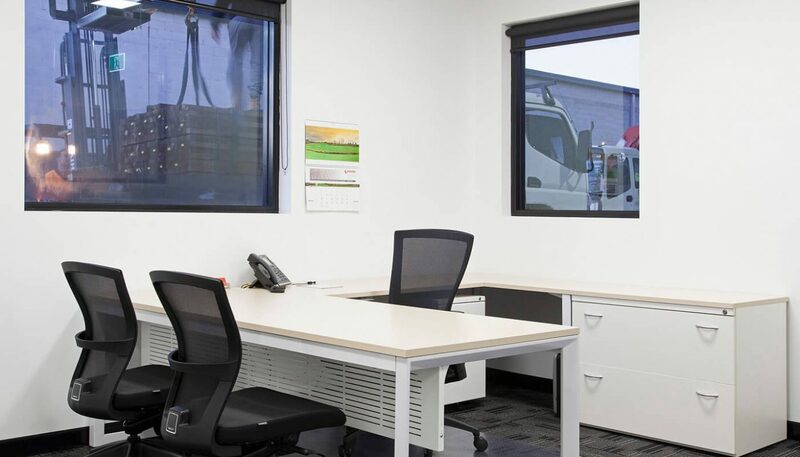 They have currently moved their head office and warehouse to Emu Plains with an objective of a modern and open plan work space. 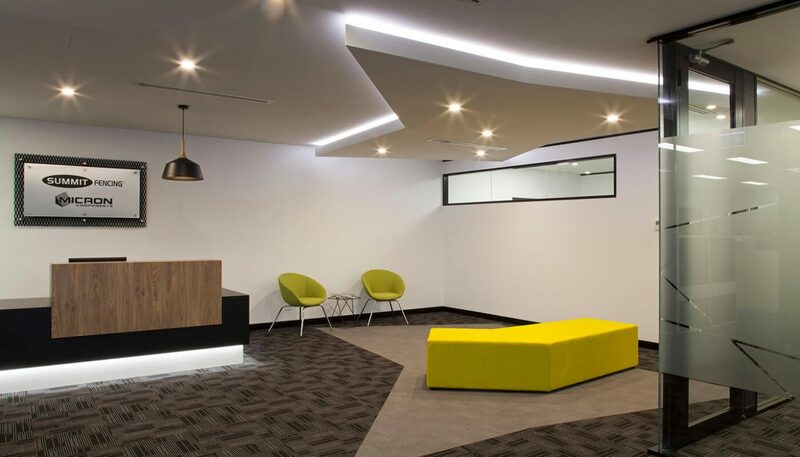 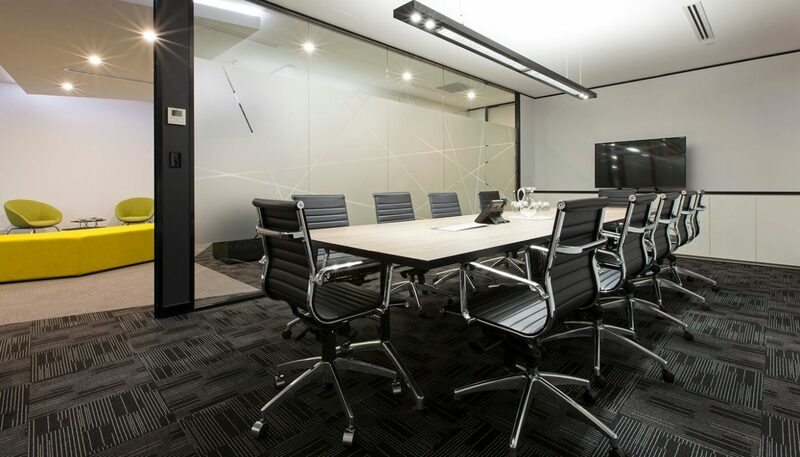 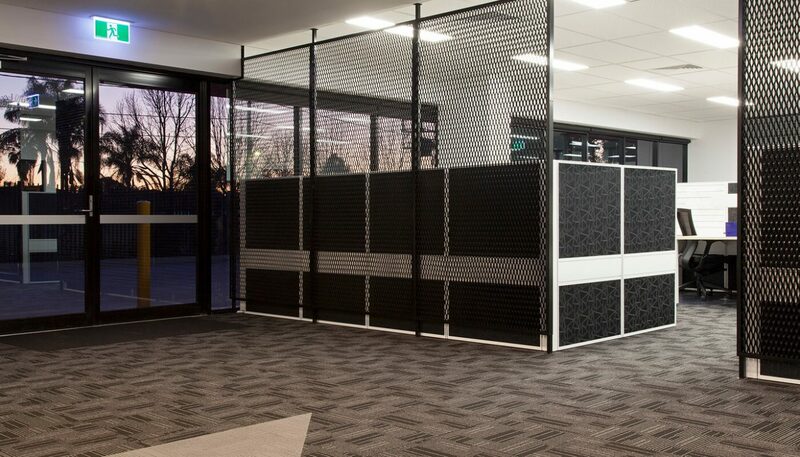 A variation of design elements were utilised throughout the fitout; including metal screen systems, feature carpet & mirrored bulkhead ceiling, graphic privacy filming and timber blade walls in the breakout. 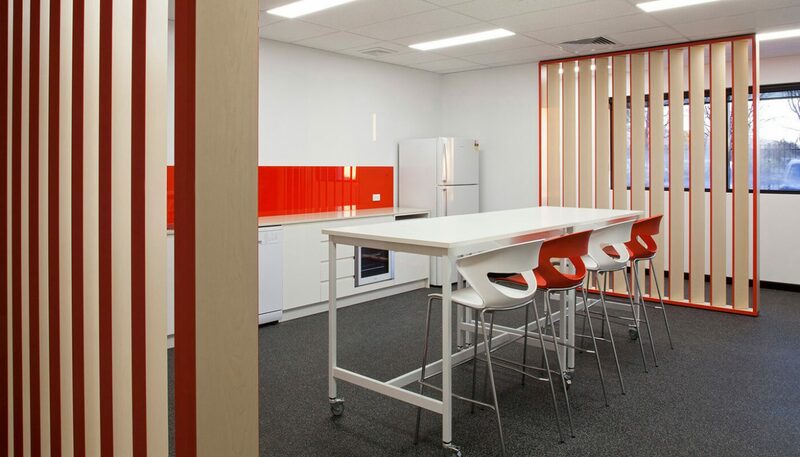 These design elements, in conjunction with a paired back colour scheme highlight the industrial nature of the business.